With Winter Storm Riley passing just offshore last week, it delivered some of the best surf the Maine coast has seen in recent years. 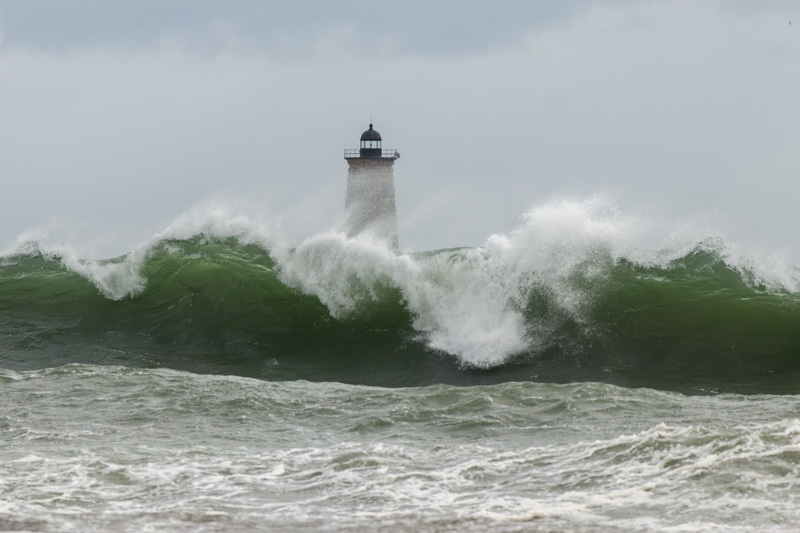 Waves of over 20 feet pounded the coastline for much of Saturday, and into Sunday morning which, coinciding with the highest tides of the month, caused some major coastal flooding in southern Maine. 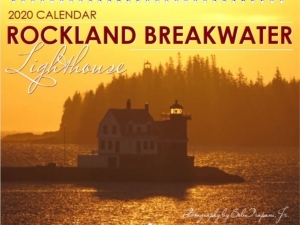 On Saturday morning, I was able to view Whaleback Lighthouse from Great Island Common. 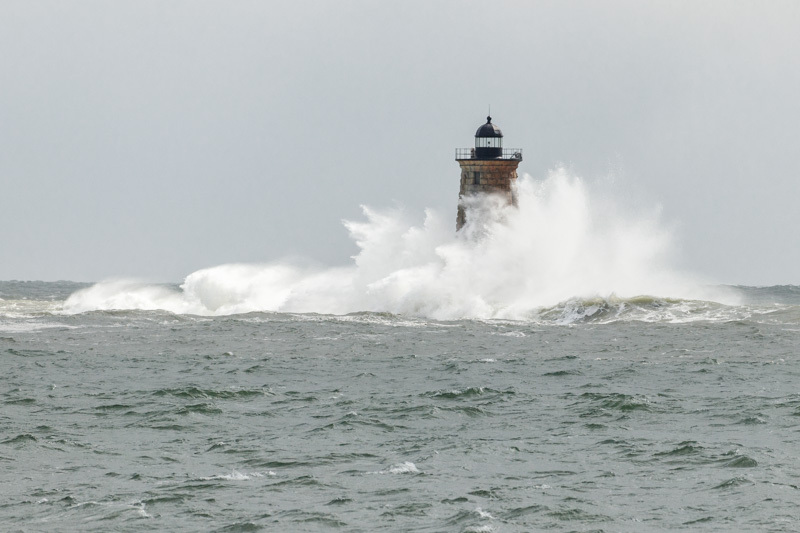 The lighthouse is located at the mouth of the Piscataqua River off of Kittery, Maine, and is a great spot to observe big waves slamming into the granite structure. Upon arriving at Great Island Common in New Castle, NH, near high tide, it was quickly apparent the trip was going to have been well worth it. The sea had submerged the ledge on which the lighthouse sits, and waves were breaking halfway up the tower on a regular basis. There were a number of people at the park to either capture the scene, or simply admire the power the sea. As the tide reached the high point, with a strong wind blowing out of the north, the waves continued to climb up the tower. After spending some time at Great Island Common, I decided to find another vantage point of the lighthouse and ventured just down the road to Fort Stark. 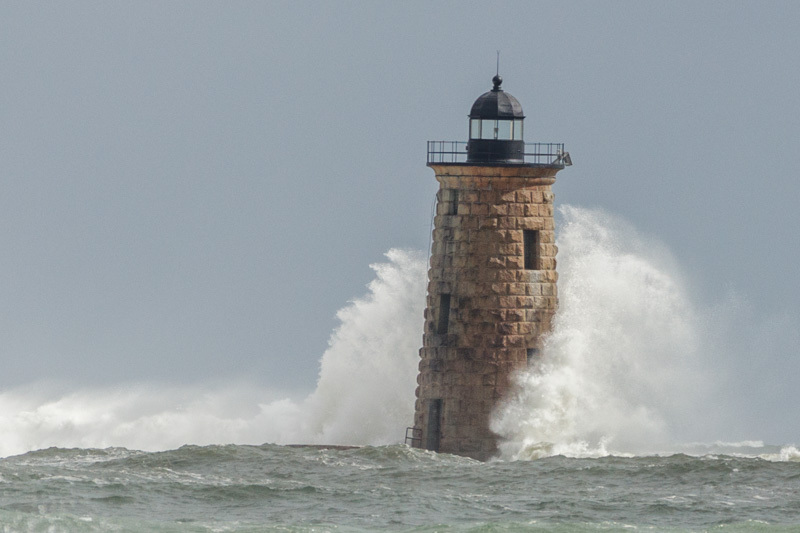 The parking lot was flooded in part due to storm surge, so I decided to stay along the main road, admiring the spectacular scenes as waves persisted with their assault on the lighthouse. 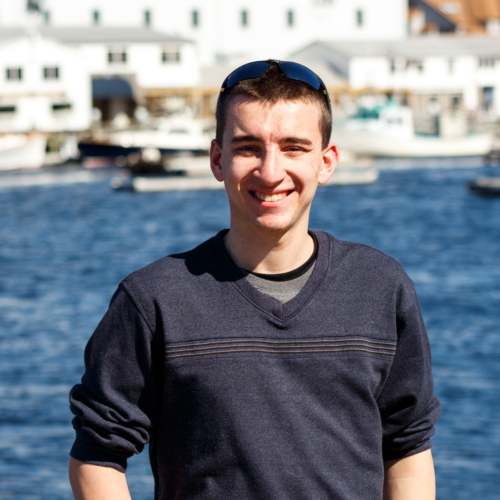 I stayed at the fort until slack tide; thereafter, making my way north along the coast, but on this day, nothing would top the spectacle I witnessed at the mouth of the Piscataqua.